A bustling city is the last place you’d ever expect to find a farm. But urban agriculture is alive and well, providing city dwellers with local, sustainable food. These days, you can find urban farms inside warehouses, on top of buildings, and even on the tiniest plots of land. If you are looking to grow food in your city, check out these six different urban farming projects we’ve rounded up to highlight various creative antidotes to the pressing issue that is global food security. The Michigan Urban Farming Initiative started a three-acre agrihood in Detroit to bring local, fresh produce to the neighborhood. The agrihood includes a two-acre garden, children’s sensory garden, 200-tree fruit orchard, and a Community Resource Center in the works. Nutritional illiteracy and food insecurity are two obstacles Detroit residents face, and the agrihood provides a community-friendly solution offering free produce to around 2,000 households. 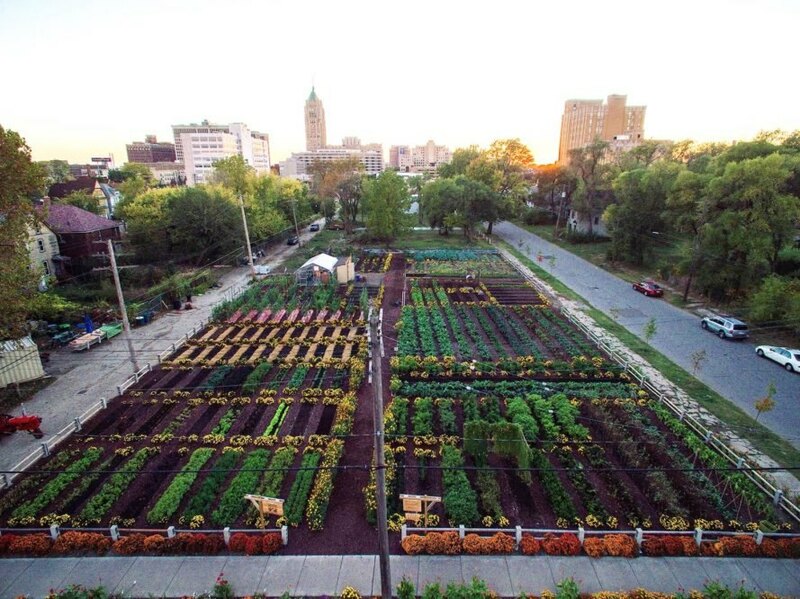 Urban farming initiatives don’t need to be massive to make a difference. 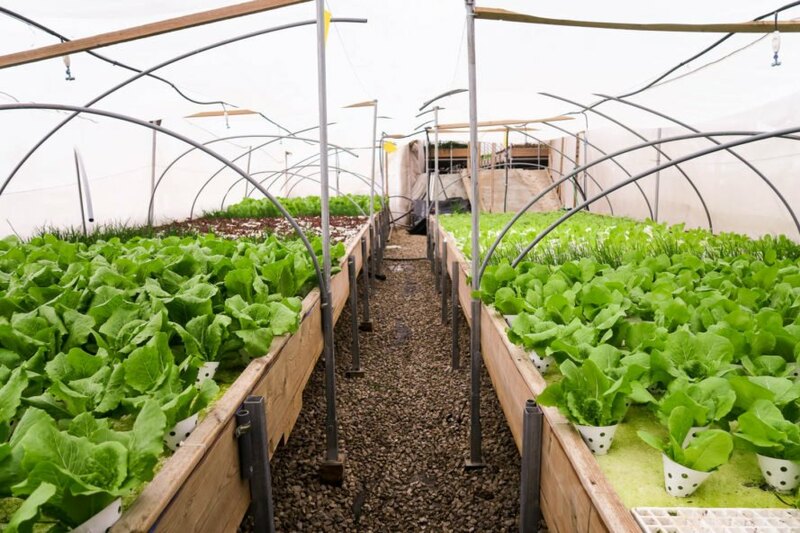 The almost two-million population of Palestine’s Gaza Strip doesn’t have much land to farm, so in 2010 the United Nations’ Food and Agriculture Organization introduced the concept of rooftop farming on a large scale by giving 200 homes equipment for aquaponic growing systems. 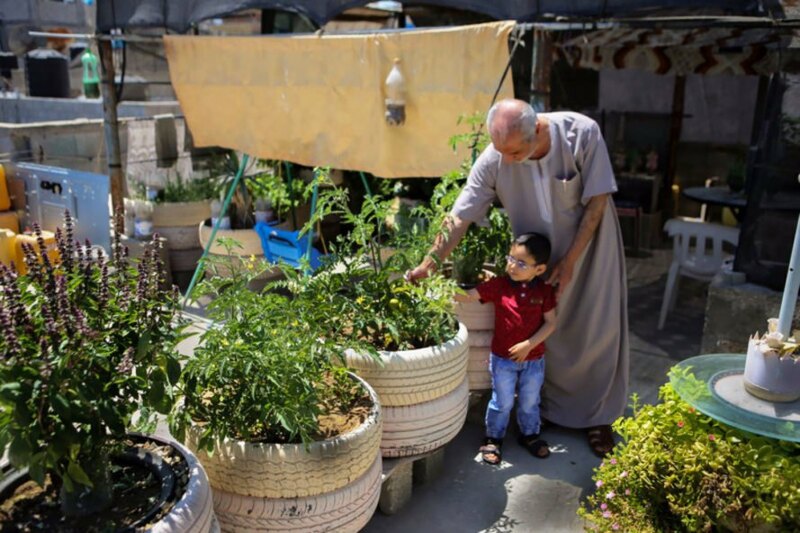 Other Palestinians have built garden beds with recycled plastic and wood, planted with seeds from nearby farmers. Ahmad Saleh, a former professor and community organizer, said rooftop gardens empower people and help create healthier populations. Old warehouses are being transformed into farms in some areas of the world, like at Farm 360 in Indianapolis, Indiana. The farm’s hydroponic systems are completely powered by clean energy, and the indoor farm produces fresh, local food year-round. The nearby neighborhood had struggled with poverty and unemployment, and one of Farm 360’s goals was to boost economic growth by providing jobs close enough to where employees live for them to walk or bike to work. Israel’s oldest mall, Dizengoff Center in Tel Aviv, received a burst of life with the Green in the City rooftop farm. There’s no dirt necessary for the hydroponic systems able to churn out 10,000 heads of greens a month, inside two greenhouses boasting around 8,073 square feet of space. All of the produce is sold, largely to local homes and restaurants through online orders delivered by bicycle. The Green in the City garden was launched by hydroponics company LivinGreen and the sustainability department of Dizengoff Center to raise awareness of the food crisis and offer affordable local produce. 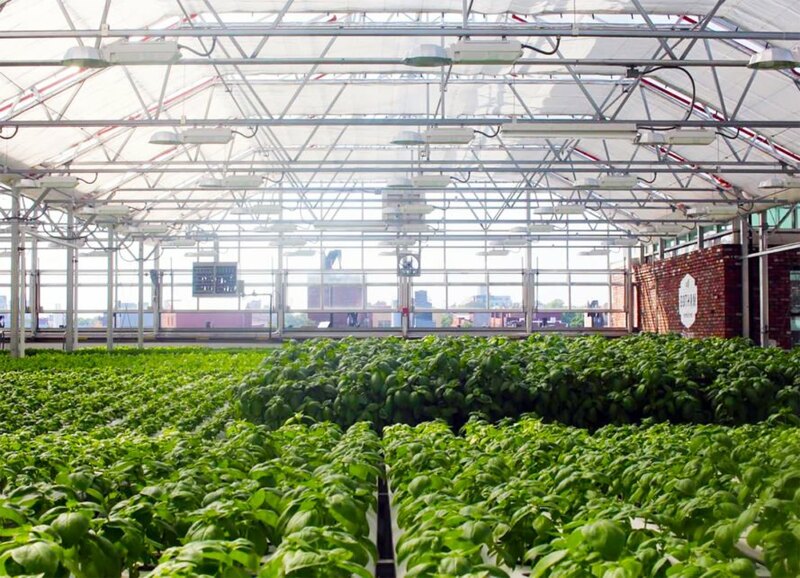 Chicago, Illinois is home to the world’s biggest rooftop garden after Brooklyn-based agriculture company Gotham Greens expanded out of New York to start the 75,000-square-foot garden on top of a Method Products manufacturing plant. William McDonough + Partners and Heitman Architects designed the project, which grows 10 million pesticide-free herbs and greens every year, all year round, inside a greenhouse facility powered by renewable energy. Shanghai, China is home to over 24 million people, and a 100-hectare urban farm planned for the city could feed nearly all of them. Architecture firm Sasaki is behind the Sunqiao Urban Agricultural District, which is designed to weave vertical farms among towers. Hydroponic and aquaponic methods, floating greenhouses, and algae farms are all part of the design. Urban sprawl has taken a huge chunk out of land for farming, yet the number of people who need food has grown exponentially. Enter the future of urban farms: you'll find them inside warehouses, on top of buildings, and even on the tiniest plots of land. If you are looking to grow food in your city, take a look at these six different urban farming projects we've rounded up to highlight various creative antidotes to the pressing issue that is global food security. Detroit agrihood feeds 2,000 households for free The Michigan Urban Farming Initiative started a three-acre agrihood in Detroit to bring local, fresh produce to the neighborhood. The agrihood includes a two-acre garden, children's sensory garden, 200-tree fruit orchard, and a Community Resource Center in the works. Nutritional illiteracy and food insecurity are two obstacles Detroit residents face, and the agrihood provides a community-friendly solution offering free produce to around 2,000 households. Rooftop farms in Gaza grow food where resources are scarce Urban farming initiatives don't need to be massive to make a difference. The almost two-million population of Palestine's Gaza Strip doesn't have much land to farm, so in 2010 the United Nations' Food and Agriculture Organization introduced the concept of rooftop farming on a large scale by giving 200 homes equipment for aquaponic growing systems. Other Palestinians have built garden beds with recycled plastic and wood, planted with seeds from nearby farmers. Ahmad Saleh, a former professor and community organizer, said rooftop gardens empower people and help create healthier populations. Indianapolis warehouse farm is 100 percent powered by renewable energy Old warehouses are being transformed into farms in some areas of the world, like at Farm 360 in Indianapolis, Indiana. The farm's hydroponic systems are completely powered by clean energy, and the indoor farm produces fresh, local food year-round. The nearby neighborhood had struggled with poverty and unemployment, and one of Farm 360's goals was to boost economic growth by providing jobs close enough to where employees live for them to walk or bike to work. Farm on Tel Aviv mall roof produces 10,000 heads of greens every month Israel's oldest mall, Dizengoff Center in Tel Aviv, received a burst of life with the Green in the City rooftop farm. 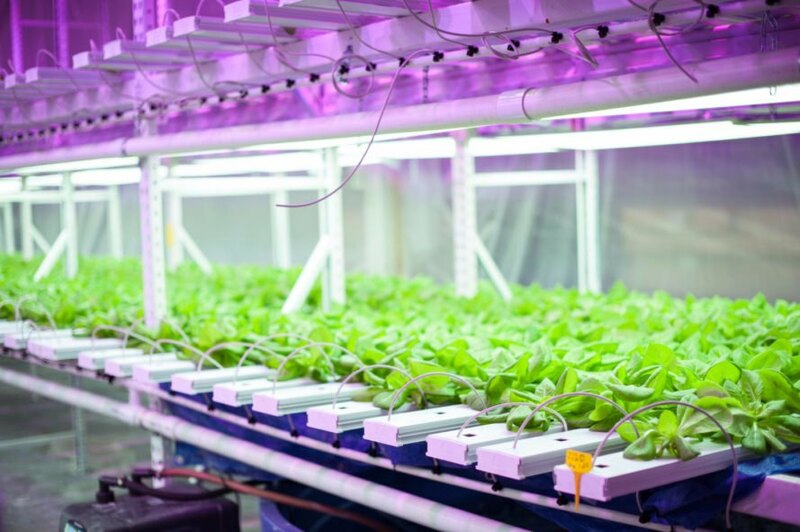 There's no dirt necessary for the hydroponic systems able to churn out 10,000 heads of greens a month, inside two greenhouses boasting around 8,073 square feet of space. All of the produce is sold, largely to local homes and restaurants through online orders delivered by bicycle. The Green in the City garden was launched by hydroponics company LivinGreen and the sustainability department of Dizengoff Center to raise awareness of the food crisis and offer affordable local produce. Chicago, Illinois is home to the world's biggest rooftop garden after Brooklyn-based agriculture company Gotham Greens expanded out of New York to start the 75,000-square-foot garden on top of a Method Products manufacturing plant. William McDonough + Partners and Heitman Architects designed the project, which grows 10 million pesticide-free herbs and greens every year, all year round, inside a greenhouse facility powered by renewable energy. 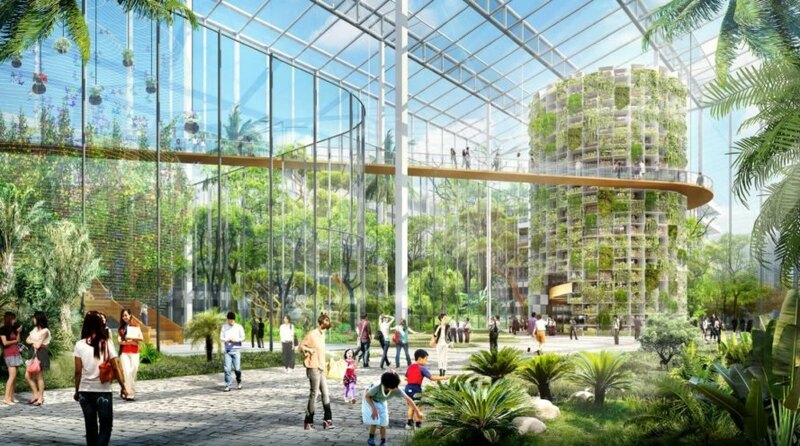 Massive Shanghai urban farm to feed nearly 24 million people Shanghai, China is home to over 24 million people, and a 100-hectare urban farm planned for the city could feed nearly all of them. Architecture firm Sasaki is behind the Sunqiao Urban Agricultural District, which is designed to weave vertical farms among towers. Hydroponic and aquaponic methods, floating greenhouses, and algae farms are all part of the design. Gotham Greens has locations in New York and Chicago.